It's always sandal weather in California (even when it's raining! ), and my favorite pair just broke for good. I shamelessly crazy-glued them back together a few months back, but the Thanksgiving visits all over town was the last straw and I ended up with snapped straps. Now that I'm in dire need of a new pair, I've been keeping an eye out for any and all viable options. I think I'll skip the brand that broke on me, and may just go with Havaianas instead. Havaianas are Women's Flip Flops which are modeled after Japanese "Zoris" and feature a signature rice pattern. The fact that celebs are buying them up like mad makes them that much more covetable to us everyday girls. *You can even make your own sandals (kind of like Build-A-Bear) where you choose all of the components for a unique design, from the colors to the accents! *Congratulations to our winner, Diane! I love the Slim Peacock!!! What a great giveaway! my bunny rabbit literally ate my brand new havaianas so gotta go look for a new pair! I love TOP in citrus green! My favorite are the Slim Peacock! I love the Slim Matryoshka! I like the Slim Turkish. I would love to win the Slim Animals in White/Rose! I like the Slim Season in navy/silver. I like Havianas on Facebook (Rebecca F. H.). I follow Haute Whimsy on twitter (@RebeccaFH). I like Haute Whimsy on Facebook (Rebecca F. H.). I like the slim turkey flop flops in white. I like the Men's Urban in Dark Khaki. The Slim Peacock would be my choice. I love the Florida State University sandals! I actually like the havaiana shoes best (the urbis eco sneakers) but the slim ethnic flip flops are awesome too! I would love SLIM ANIMALS Grey sandals. I love the slim crystal flower sandals! I love the Slim Turkish sandals in black! The slim peacock is calling my name. i chose my own, with purple base, silver straps and no pins. The Navy Slim Matryoshka are my favorite! I like the TOP in black. I like the Slim Crystal flower in Black! I like Havaianas on FB! SLIM CRYSTAL MESH in PINK are my favorite. I really like the Slim Kokeshi in grey/silver. Email in profile. I love the slim classics in black! I'm a simple gal. I love the SLIM NAJA. i like the fairy girls sandal! i follow haute wimsy ia gfc! I love the SND GRY/ LT GRN SLIM LOGO METALLIC pair. 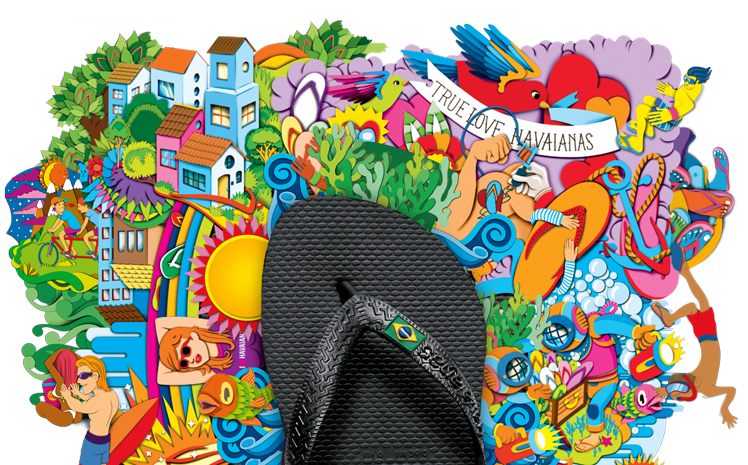 I follow Havaianas on twitter(terri142). I Like Havaianas on Facebook. While it's not always sandal weather here in MN, we do enjoy our few months of warmth! I'd love to have the METAL MESH SILVER! I love the SLIM ANIMALS: White/Rose sandals. Following @havaianas on Twitter @hle123. Following @HauteWhimsy on Twitter @hle123. I like the Fit sandals. I like the graffiti style flip flop. Following Havaianas via Twitter (@Hotsnotty2), Thanks! I'd like the Spirit in Lavender Blue. I would like the slim turkish in black. I LOVE the animal print slim sandal! I like Havianas on Facebook! I would love the graffiti sandals. I would like to have the GRAFFITI Minhau. I like Havaianas on FB as Lyndsey Rullman.